With our Virtual Servers of the next generation of virtualization we can offer you highest performance, security and flexibility. Professional features such as choosing any Operating System, multiple IP addresses, full access to server and network are our standards. Your own kernel. Install any software. VPN. Fast SSD or HDD storage. Newest generation of virtualization technology. Free choice of OS, disk, CPU, RAM, IP's, DDoS protection. Free choice of backup, restore, traffic. Up to 3 months for free! Configure your Virtual Server according to your needs with the same conditions. If requested, your server is guaranteed to be operated in safe and neutral Switzerland. The traffic limit only serves to avoid possible abuse - according to a Fair Use principle. Select your operating system from a big number of server or desktop versions. You can create and edit the DNS records of your domains in our web Interface. 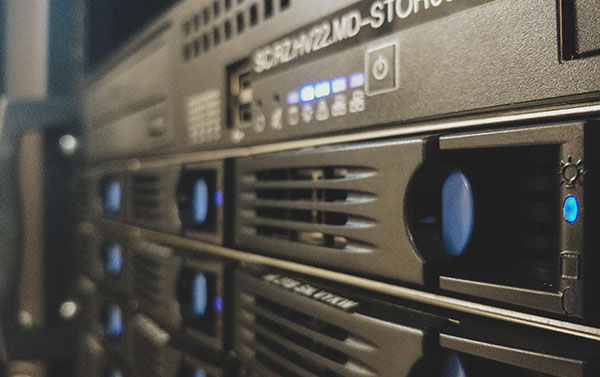 Get information about your VPS and subscription, and shutdown/reboot your server. Which virtualization method are we using? We use a real full-virtualization, also known as bare-metal virtualization, for our virtual servers, which offers very high performance and security. In contrast to other virtualization products, you have an independent server instance, which completely isolates you from other customers. Our full virtualization emulates a complete computer with virtual hardware, which can be addressed by the guest operating system like real hardware. Thereby, the layer of the guest operating system is dispensed with and the commands of the individual fully encapsulated virtual servers are forwarded directly to the hardware. Due to the fact that the commands are directly forwarded and do not have to be processed additionally, full virtualization has a very high performance. Therefore, you can also install and operate unmodified operating systems. By default, we provide you with a large selection of Linux distributions and versions. You can also select from many versions for the operating system Windows. Can I run a VPN on my server? Yes, a VPN can be set up and operated on a Linux as well as a Windows Virtual Server. For the Windows Virtual Server, the use of PPTP is the easiest method to build a VPN. This connection type is not as secure as L2TP or IPsec, but it is sufficient for many applications. PPTP-based VPN traffic consists of a TCP connection to the TCP port 1723 on the VPN server and GRE (Generic Routing Encapsulation) -coded packets for the VPN data. However, PPTP traffic can cause problems with firewalls, NATs, and web proxies. To avoid this, firewalls must be configured to allow both the TCP connection and GRE-encapsulated data. With Linux Virtual Server, For example, the tunnels are built using OpenVPN. Can I use a custom kernel? Yes, you can use any kernel you want. We offer you a large selection of Linux distributions or different versions of Windows. If the operating system you are looking for is not listed, please let us know. Mail to Online Support. We are using a real virtualization for our virtual servers (KVM). You can also use unmodified kernels. Can I extend my Virtual-Server? Like any physical server a virtual server (VPS) can also have limited resources such as RAM, CPU, or disk space. In this case, you can extend the VPS flexibly and easily. 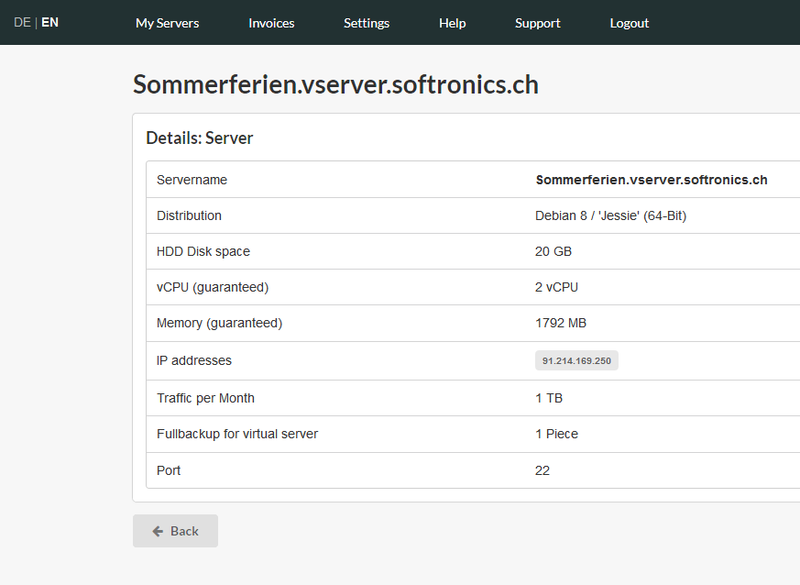 In the web interface at https://vserver.softronics.ch/ you can see the current configuration of your Virtual Server. To do this, select the appropriate vServer from the list. The possible configurations and also the options can be found on our website. Please send the desired new configuration to our support with the current invoice number. In order for the extensions to be effective on your VPS, a short maintenance window is required in most cases. * Discounts apply to the first period of the selected duration.